Updating the kitchen while paying homage to the home’s character led to a fresh take on traditional. A total kitchen overhaul delivered an airy look with open shelving, quartzite natural stone countertops and backsplash plus all new stainless appliances. At just over nine feet long, the walnut-topped island complete with an eating area makes daily life with small children easier. Photography by Aaron Usher. The new owners of this historic house loved its location, the town and the neighborhood. They just didn’t love the outdated, dysfunctional kitchen and half bath. The design/build team at Red House Custom Building set out to give them an open, airy space with a functional configuration. Remodeled in the ’60s, the kitchen didn’t fit the home’s vibe or the family’s needs. “During demo, we found the space had been divided several different ways over the history of the home. We took up two layers of flooring and found evidence of several missing original walls,” says Justin Zeller, owner and general manager. Zeller’s design team started with a new floor plan to address functionality, moving the sink and range locations and adding a large island. Removing a radiator in favor of a toe kick heater created more counter space. Designer Tom Mahoney created better traffic flow with stepped cabinetry that opens space around the end of the eat-in island. 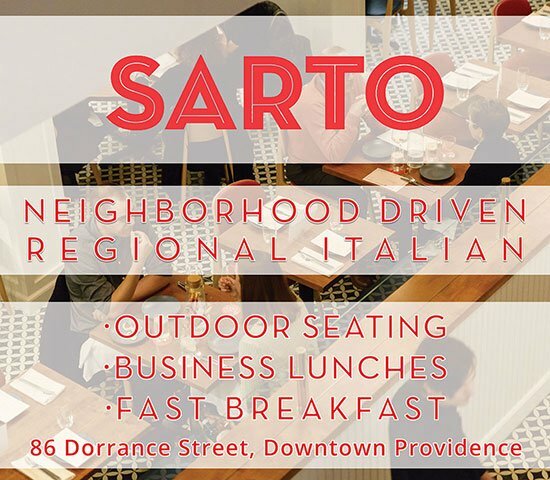 This design complexity also creates visual texture and shadow lines for a more eye-catching aesthetic. New windows added balance and tons more natural light while classic French doors replaced dated sliders. Both helped connect the kitchen to the yard, making the room feel larger. The homeowner also dreamed of open shelving rather than upper cabinetry, but that didn’t mean compromising on storage. Custom inset cabinetry, full depth drawers and corner cabinet pull-outs delivered more storage than before. 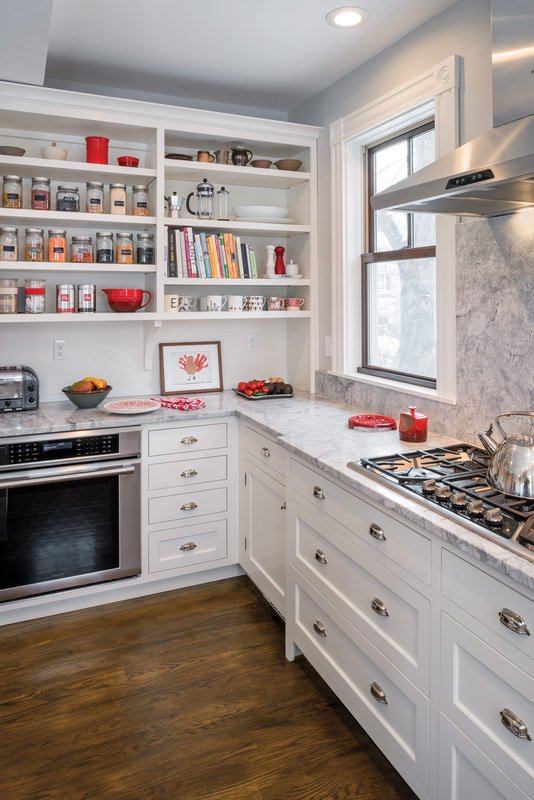 Design elements such as open shelving and a white dove and light gray color scheme with pops of red added a European flair. The result is a beautiful traditional kitchen with personalized touches. “Now the kitchen doesn’t feel out of place when you’re walking through the rest of the home. The space is designed to feel like an extension of the home’s original intention with style lines to match the character of the original house,” Zeller says. As a design/build company, the Red House team approaches projects from both the budget and design sides right from the start. “You don’t have to break the bank, but a lot of planning for the overall design and function is required to make it perfect for how you use the home, and to make it last a lifetime,” Zeller explains. 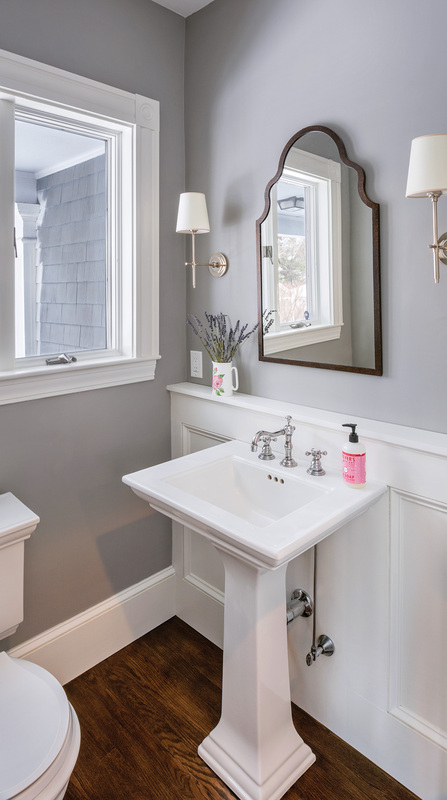 Red House demolished a homemade plywood vanity and completely updated the first floor powder room with modern fixtures and wainscoting. 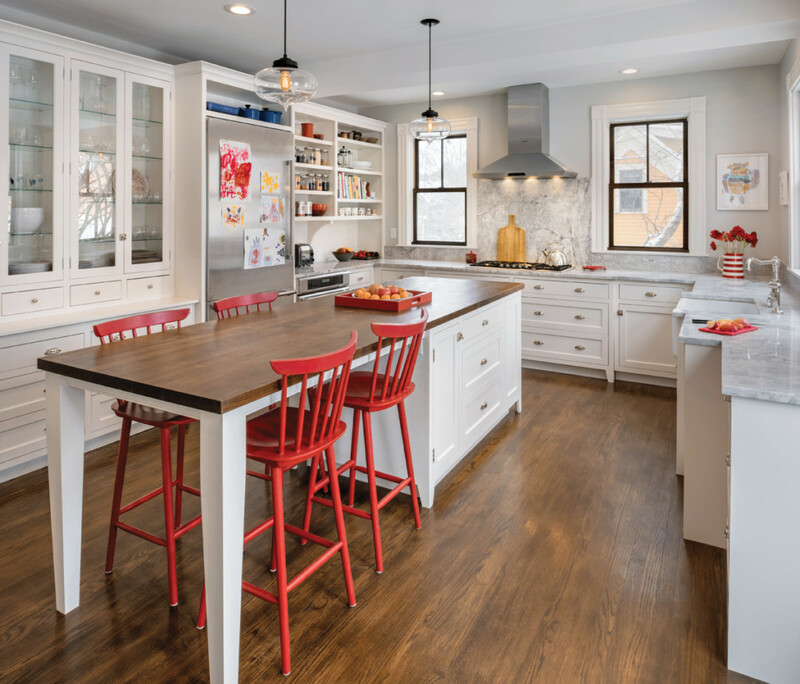 Using the same flooring and color scheme as the kitchen helped the overall design flow. Photography by Aaron Usher. 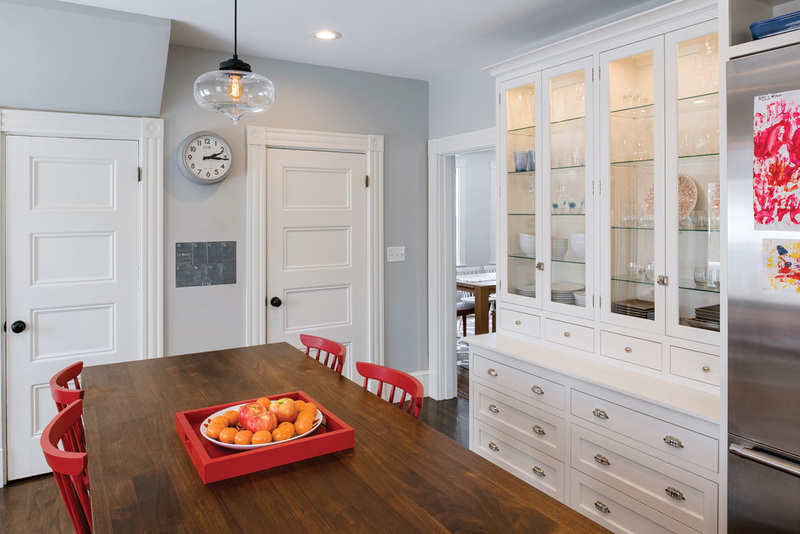 A growing company, Red House is designing a selection studio at their Providence offices to showcase their cabinetry, craftsmanship and design to give customers inspiration.